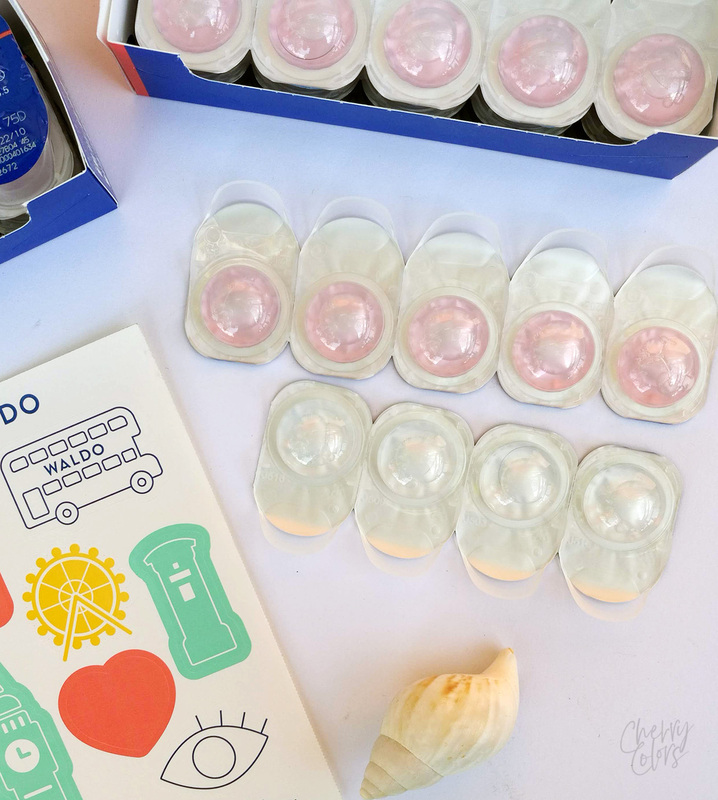 WALDO - The Subscription Contact Lenses - Cherry Colors - Cosmetics Heaven! When I was aimlessly browsing Facebook it showed me an ad. An ad for daily contact lenses that are supposedly inexpensive but made of quality materials. The interesting part? You can subscribe to them! I was intrigued and decided to check them out. Those are the Waldo contact lenses. 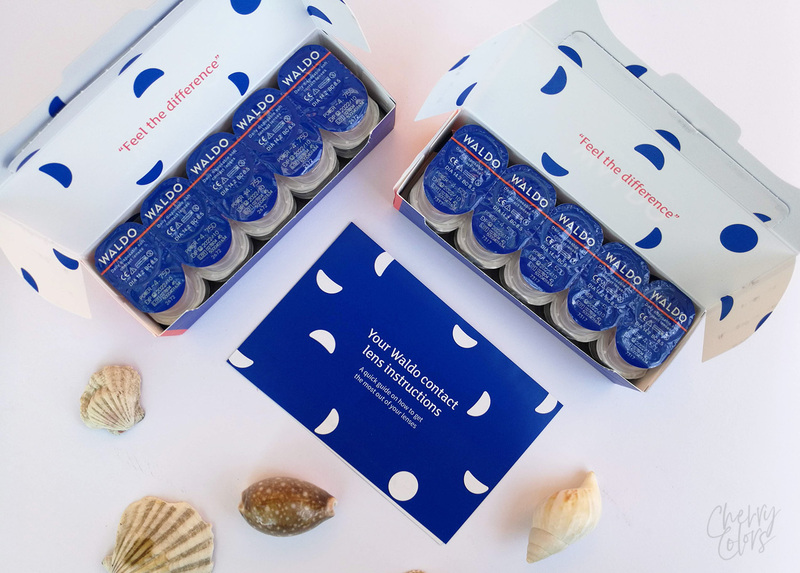 At Waldo we are on a mission to give you the highest quality contacts without the hassle or the price tag. And we believe ... in simplicity. We knew that contact lenses didn't need to be so expensive. And we embarked on a mission to find a way to simplify the contact lens process for ourselves and our customers. 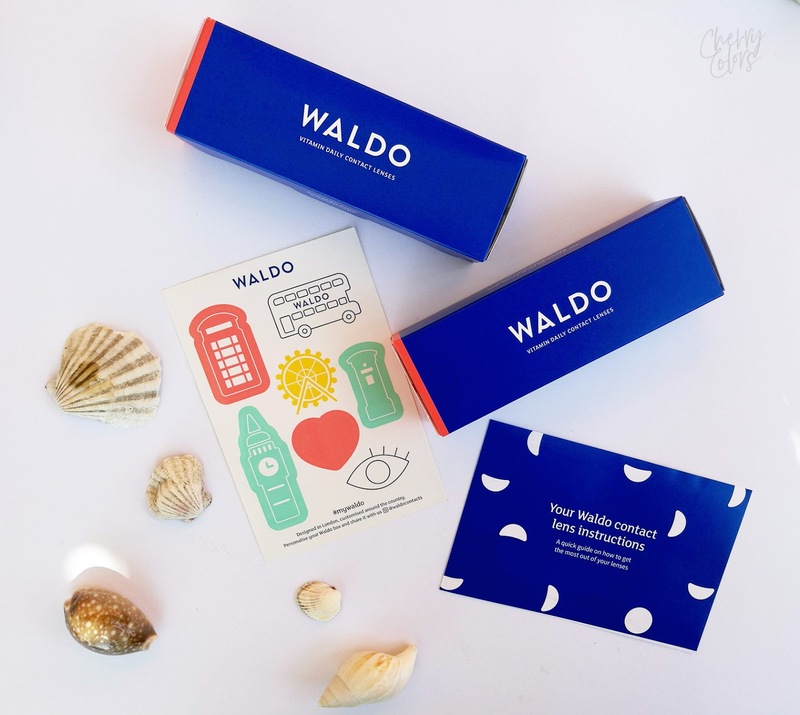 So we created Waldo: the ultimate destination for premium, effortless, affordable vision. Well, I was intrigued. As they are UK based that meant that whatever I ordered from them would come customs tax-free and that made it one step closer to being even more affordable than the brands that are available on the market. But since we can't just believe everything we find online, I decided to take them for a spin. They offer a free trial of their Original Waldo contact lenses. Those are disposable contact lenses that are meant to be tossed after one day of use. Pain and fuss-free. Perfect for everyone that hates storing lenses and everything that comes with that. And those (like me) that think they're not getting the bang for their buck with monthly lenses as they aren't wearing them every day. The only thing you need to pay for is shipping. That was less than 3€ in my case. After the free trial, the lenses are 16€ per box (30 lenses). Or 32€ for two boxes with free shipping. I got my lenses in a week and there were two small boxes with 10 pairs of lenses. So for the small payment of 3€ I could try Waldo contact lenses for 10 days. That's a pretty sweet deal if you ask me. Once you subscribe they'll automatically charge for another two boxes after 14 days. But that's something that you can fix with two clicks. Just go to your settings and change the subscription (or cancel it). This way your trial will come without any strings attached. I actually enjoyed the lenses. They felt comfortable, I just had to be really sure about turning them the correct way. These are super soft and tend to turn into themselves. Plus they have mostly turned "the wrong way" in their little cases. What do I mean by the "wrong way"? You know how with most lenses, the lenses in the case come turned as you're supposed to put them on your eye? Well, here it's the other way. It's not something that would make the lenses less comfortable, but it's something to keep in mind while putting them on. I tossed a pair because I couldn't figure the correct way to turn them (and I'm a long time contact lens wearer). Once I figured that little thing, there were no problems at all. I wore them for my usual long days and they felt moist and comfortable at the beginning and end of the day. I also got two full boxes (30 lenses each box) for review purposes. 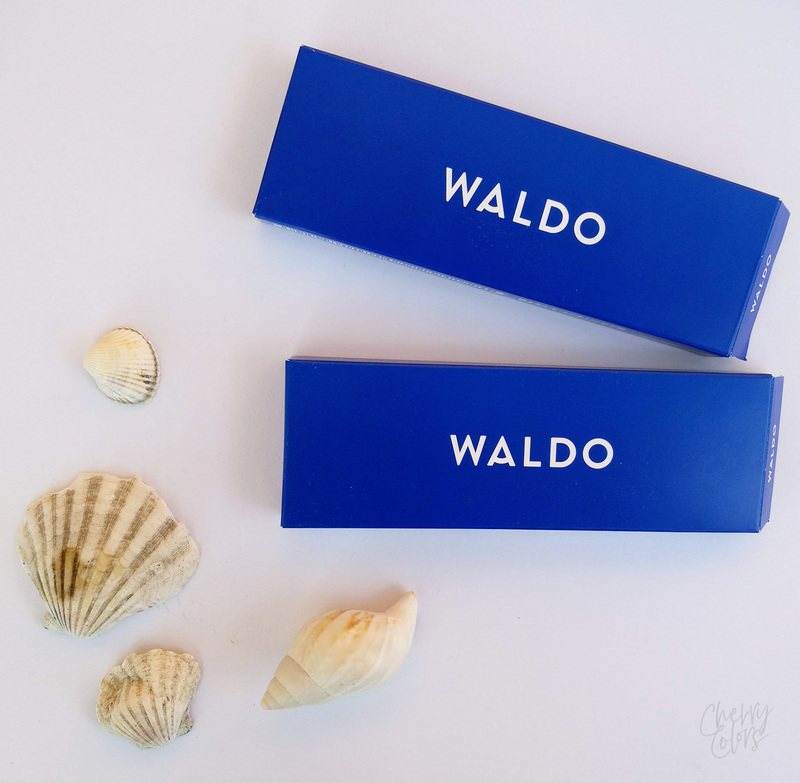 I was curious how they are different than the Original Waldo lenses. What do they say about the Vitamin lenses? Help your eyes relax with our ultra-comfortable vitamin lenses Each box contains 30 lenses with an 8.5mm base curve. Our patented saline solution formula boasts Vitamin B6, B12, E, meaning nutrients can reach the eye to leave them feeling refreshed and rejuvenated throughout the day. Which means the lenses are the same, it's the saline solution that is boosted full of vitamins and that supposedly makes the lenses feel comfortable for the whole (long) day. The lenses look interesting as the saline solution is colored pink which makes it look so interesting and a tad freaky. Boy have I never seen lenses that come packaged so well. 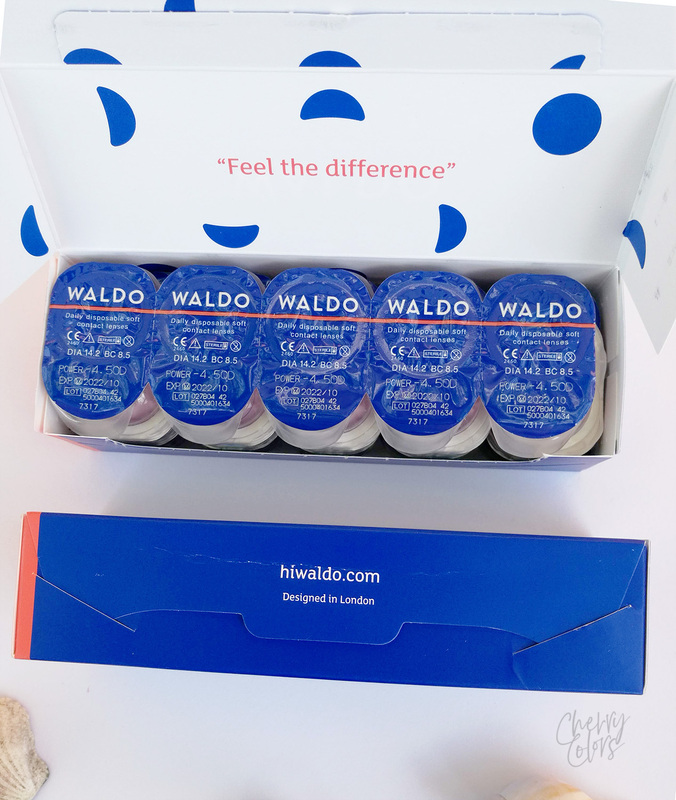 You get your small box from Waldo which fits exactly two boxes of daily contact lenses so nothing can break. It's safely packaged. Once you open the main box, you find two smaller boxes which contain stacked lenses. Each one is sealed so you know if your lenses have been tampered with. I have nothing bad to say about the packaging as I enjoyed the quirky little details. HOW THEY COMPARE TO THE ORIGINAL LENSES? Vitamin lenses a bit like a gimmick so I decided to test an Original Waldo contact lens in one eye and the Vitamin Waldo contact lens in the other eye. Both felt really comfortable and at first, I couldn't notice any differences. But at the end of my day, I could feel the eye with the Original Waldo Contact lens being a tad dryer. But lenses felt comfortable, but the Vitamin lens felt a tad better. Like if I had them in just for an hour or two (and not 13). 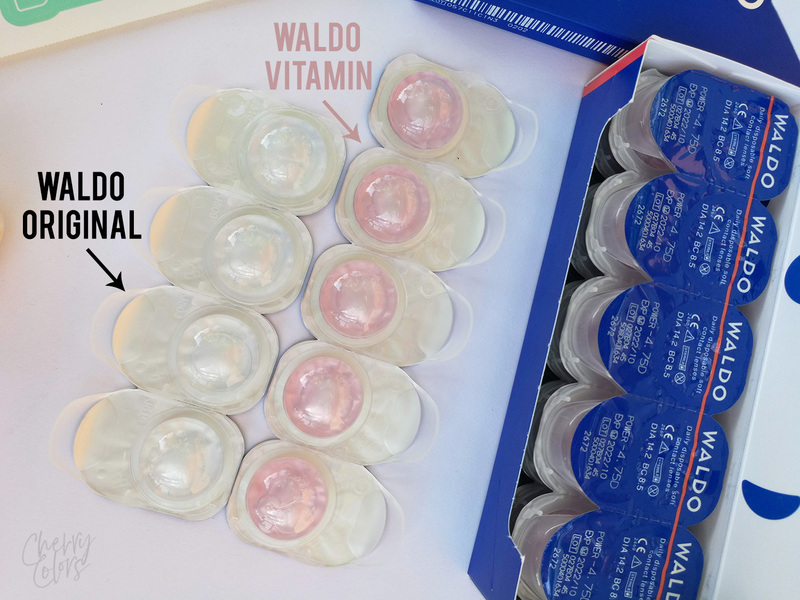 The Vitamin lenses come with a higher price at 19€ per box (30 lenses) or 38€ for two boxes. I had my doubts when it comes to Vitamin lenses, but there is actually some truth behind the science. I find them to be a tad more comfortable than the Original version, but if I didn't wear them side by side, I wouldn't be able to notice the difference. 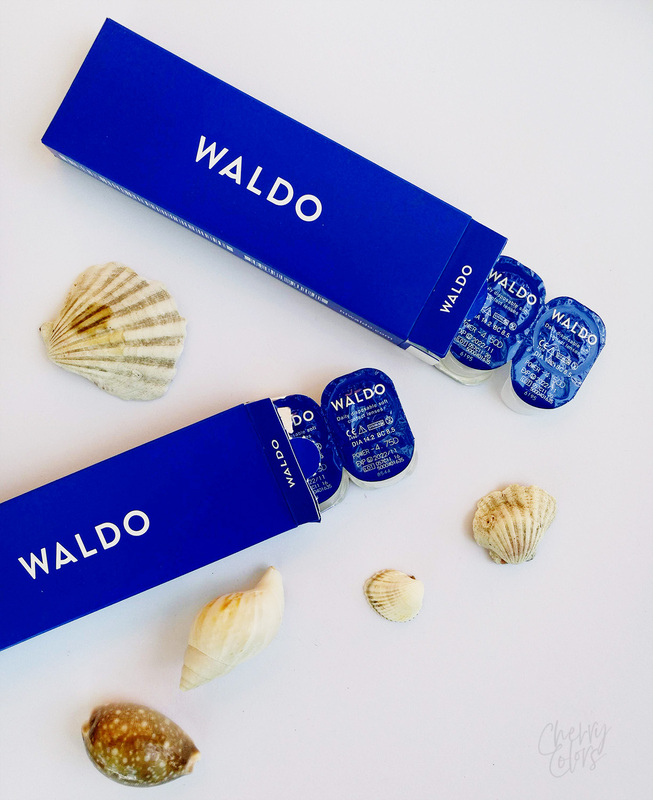 Waldo contact lenses are THE lenses for you if you find them comfortable. I do and I am really happy that I found affordable daily contact lenses. If I'd have to pick between the Original and the Vitamin lenses it would depend on my eyes - do they get dry quickly? If so, I'd go with the Vitamin lenses. If they don't get dry quickly, I'd stay with the Original Waldo version. Overall I like them and would recommend them for at least a trial spin.